Is Good to know The Winners for The Lucky Draw! Dr. Ang Ai Leen Presenting the Prizes to the Lucky Draw Winner! Ohh.. Now, we all know who is having their birthday during the month of december! Having Buffet while having Networking with Friends. What can you ask more in life than that! Everyone is Feeling Hungry Now after a day of Fun Excitement! Last, but not least ..
Not to forget of cuz, a nice picture or two of the group photo. Before all said that done with a meaningful gathering. It's Not a Good Feeling Being Sick!? Last week, wasn't too much of a good week for me. I was sick. Of what? I am not feeling well for the past week. 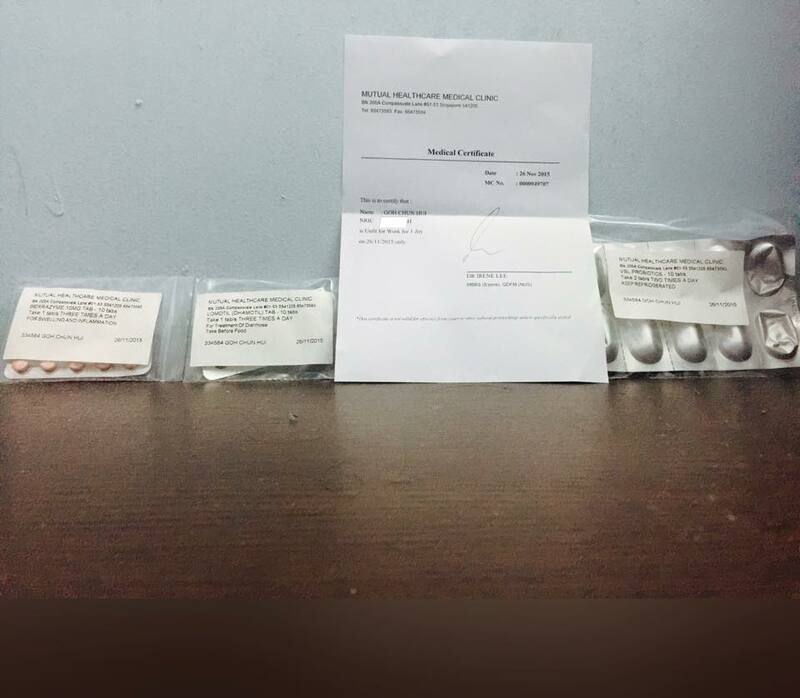 I am having Diarrhoea, sore throat and slight fever. Which I suspect is mostly cause by heatiness, which is an result of eating a lot of these unhealthy, oily, fried, and spicy foods overtime and did not drink enough water everyday, causing dehydration. Even some cooling drink, if I know I would had is better than nothing in reducing the heatiness. When your white blood count is low, together with these unhealthy lifestyle, polluted environment, improper sleeping habit or even lack of exerise. Could all play a VERY BIG part in causing you to fall sick or make you healthy. Anyway, it's definitely a very bad feeling being sick. I am quite sure you might had thought about this as well as I am, while you will sicked. Is that why am I letting myself being sick, which I could actually prevent it in the first place. By hydrating myself at all time, eating healthier, have a healthy lifestyle, clean environment if possible, proper sleeping habits and exerise offen. Fortunately, for now while I am blogging this. I had already fully recover. I am very grateful and thanksful for that, even though I am not celebrating thanksgiving. Which you might over the weekend, if that's so Happy Thanksgiving to you and your family, blessing everyone happy & healthy. 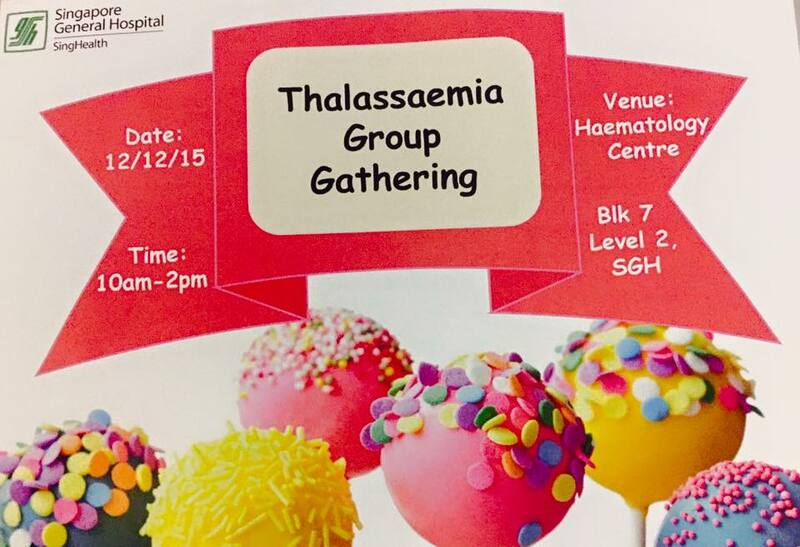 Here is our coming up once a year group gathering for all Thalassemia Patients at the Singapore General Hospital. It should definitely be an exciting fun day for this. Also just recalled that it has already been 3 years, since I last moved from KK Women's and Children's Hospital to SGH. So far...the experience has all been great, having my medical treatment at both hospitals. 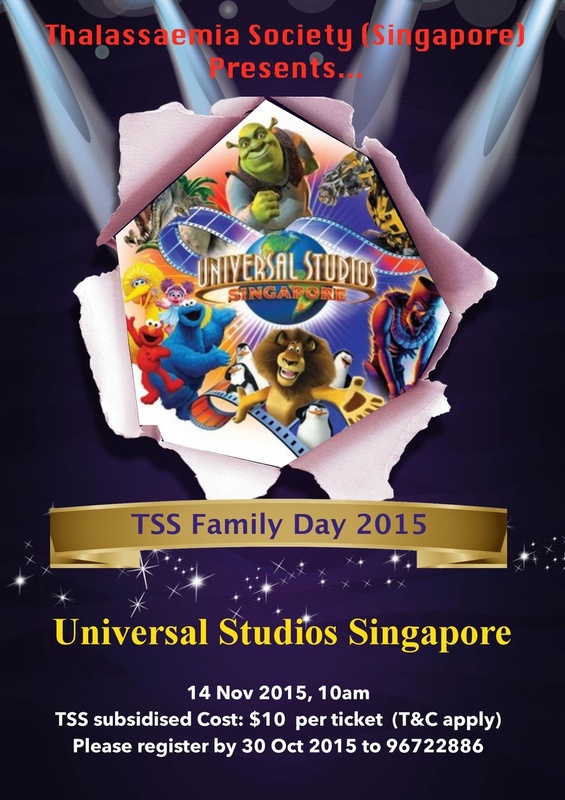 Thalassaemia Society (Singapore) Family Day 2015! 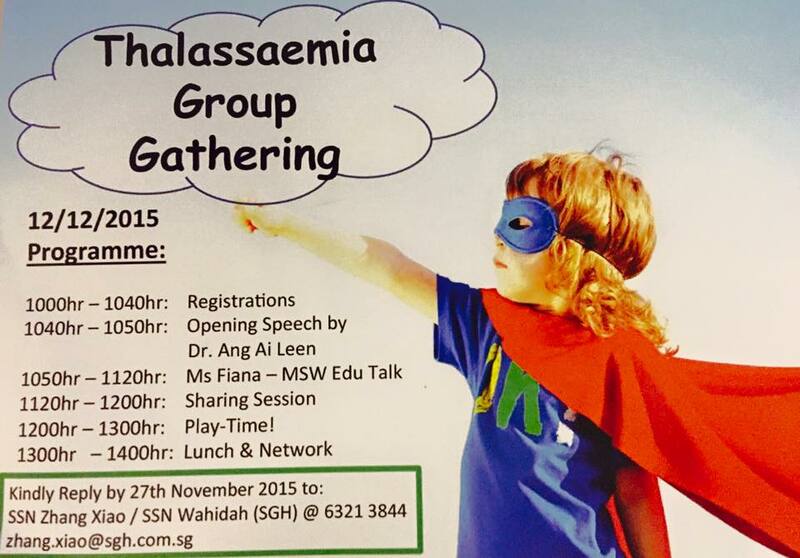 This year Thalassaemia Society (Singapore) is having their Family Day on the 14 Novemeber 2015 (Saturday). This time we are going to the Universal Studio Singapore. 1. Limited to 4 tickets per member per family. 2. Strictly on first come first serve basic. 3. Cost for tickets include lunch and S$5 shopping voucher at USS. 4. All payments must be made by 31st October 2015. 6. Payment details will be advised upon successful registration. 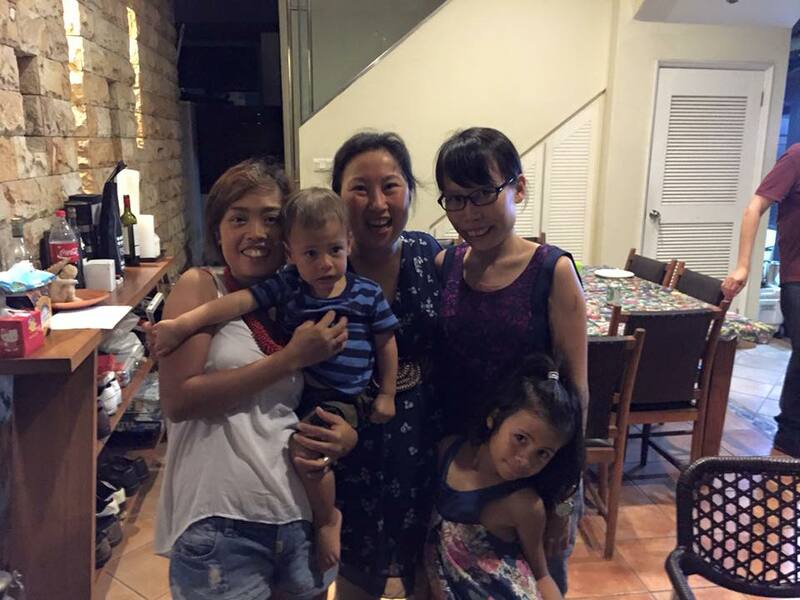 Thalassaemia Society (Singapore) Group Dinner Gathering! 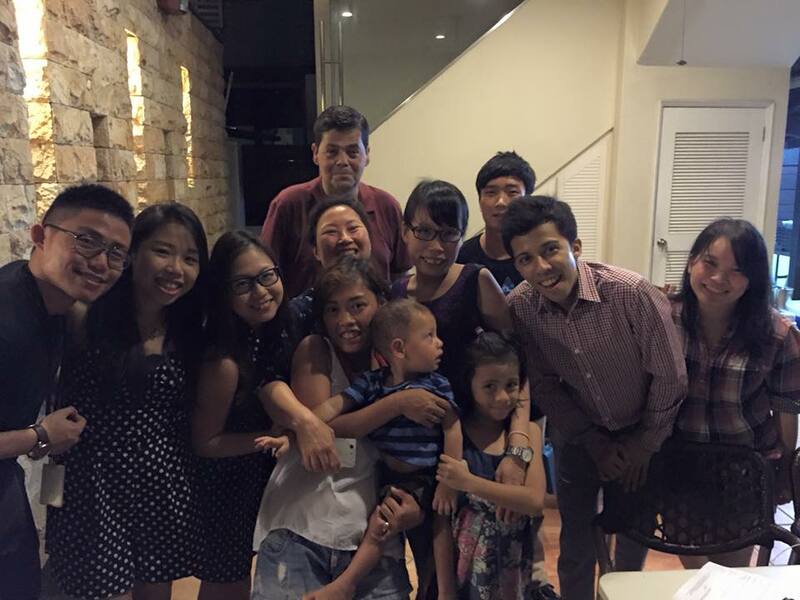 Earlier yesterday on the Friday, 28 August I had just attended the Thalassaemia Society (Singapore) Dinner Gathering. It's basically a gathering for all thalassemia, friends and family to attend. Our founder member of Thalassaemia Society (Singapore) Aggie and her husband Michael, few doctors and nurses are invited as well. Everyone was having a good time enjoying themself tonight, is great to see and chat with everyone. 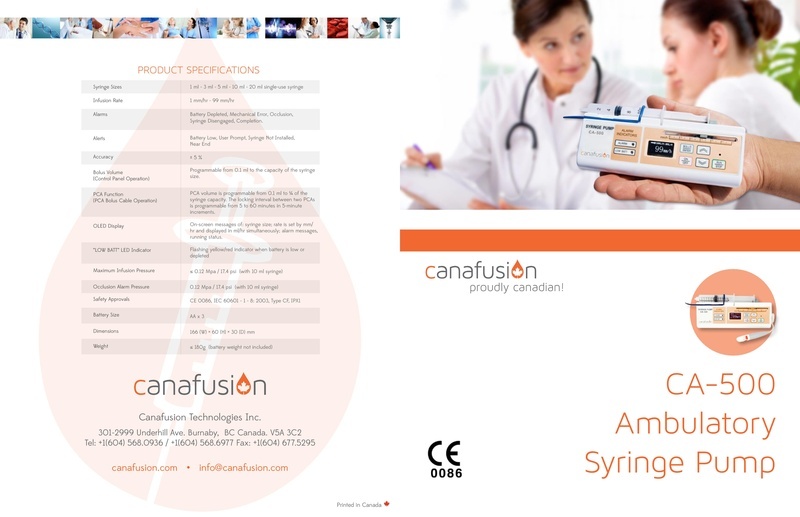 This is a recent product upgrade, with a new program interface of the Canafusion's CA-500 Thalassemia / Desferal Pump. 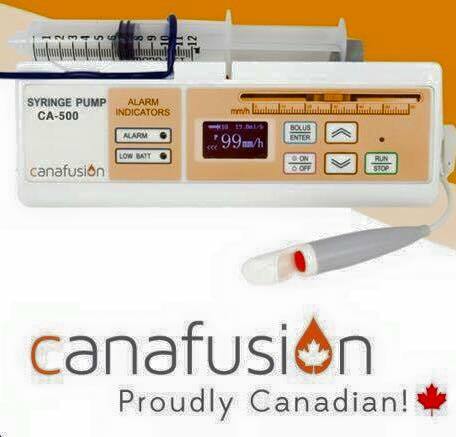 Lifeblood Centre started with the purpose of helping Thalassaemia and Cancer patients. The service started with the hope of easing the financial burden of these patients and their immediate families. When patients are diagnosed with cancer, they usually go through treatment processes which eventually hinder them from continuing their jobs. They will then have to pay medical bills for the treatments. Cancer is not incurable, but it is a long and slow process which requires mental and financial support to the patients and their families. Lifeblood Centre hopes to do whatever we can to allow the patients and their families have hope in battling the illness. Many cancer patient families undergo great mental stress. We can only do so much by helping them feel that there are people in society that bears their problems with them and by helping the patients have a positive mindset in the recovery process. The Lifeblood Centre offers subsidy for taxi trips or ambulance services between the hospital and home for treatment and appointments. This benefits beneficiaries who experiences limited mobility, debilitating complications or side effects of treatment or the illness itself, or who are advised by their doctor to avoid public transport. Subsidy for medical consumables required for the treatment or maintenance of illness is available. 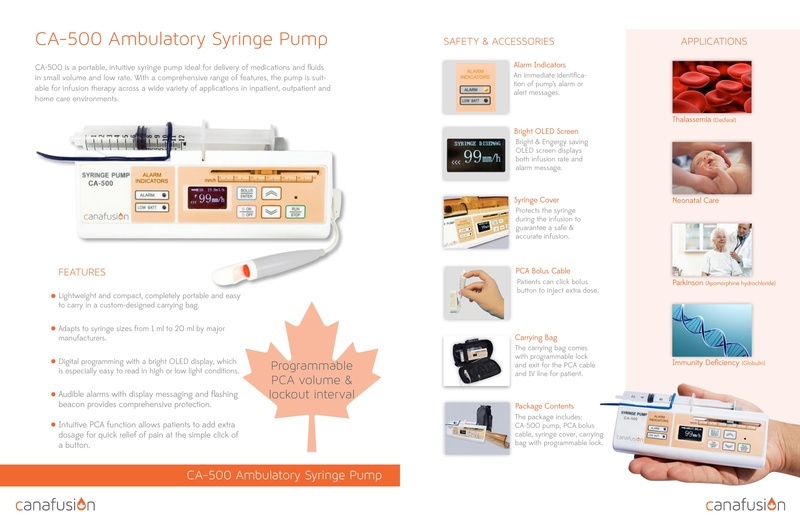 We subsidise consumables such as needles and syringes for chelation, port expenses, diapers, milk feeds, wound care consumables, and stoma consumables among others. We also subsidise equipment or the rental of equipment.